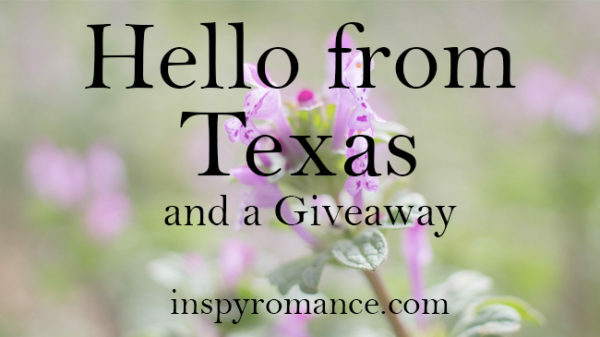 This is my first post with Inspy Romance and I’m really excited to be a part of this wonderful blog. I didn’t start writing inspirational romance until I was in college. I loved reading romance novels, but clean stories weren’t common and I found that both frustrating and disheartening. Authors like Lori Wick, Janette Oke, and Dee Henderson encouraged me and I thought, if there weren’t enough novels out there I wanted to read, maybe I should start writing my own. It took years before I was to the point in my life where I could really focus on my writing. I finally published my first novel, Calming the Storm, in August of 2014. Since then, I’ve written and published six other titles with more on the way. So far, all my books take place in either Oregon, Arizona, or Texas, which also happen to be the states I’ve lived in myself. My latest book. Finding Joy, takes place in Texas on a longhorn ranch. I was blessed with the opportunity to be able to tour a local longhorn ranch myself while doing research, which was a lot of fun. Do you enjoy reading books based in areas you’re familiar with, or do you prefer to learn about new locations? Writing is an adventure and a joy that I love to share with others. I look forward to visiting with you all and getting to know you in the coming months. Giveaway: I’d like to give away one Kindle copy of my book, Finding Peace (or the winner’s choice of any one of my other books). One winner will be randomly chosen from the comments below. The giveaway will remain open until 12 a.m. April 10, 2017. Welcome, Melanie! It’s great to have you join us. I look forward to reading your books. I did not know about your series sho I am so glad I got your email. This sounds like a series that I would really enjoy. I appreciate that, Lori! If you decide to read the series, I hope you enjoy it! I’m thankful for all the authors that choose to write clean inspirational romance. Welcome to inspyromance. Thank you for the wonderful welcome, Gail! Welcome to Inspy Romance and from cold, windy Michigan, Melanie! Thanks for your introduction and excerpt. Having traveled coast to coast and to Canada, Europe and Asia, I especially enjoy reading books with Midwest settings or European settings. I have my favorite Michigan authors. As a retired High school English and creative writing teacher, I enjoy reading stories with descriptive settings, well developed characters, twist and turn plot with a theme. Interesting covers draw me in. Best wishes and happy writing. Hi Renate! Thanks for sharing about what draws you to a book. It sounds like you’ve done a lot of traveling. I’ll bet you’ve had some wonderful adventures! Welcome, Melanie! Your books sound so interesting. I am an avid reader so will be shopping for your books. Welcome! When a book is set in a locale I’m familiar with, I think I enjoy it more because I can pick out the nuances of location that someone unfamiliar with the place would miss. I do like reading about places I haven’t been too – I just like to read! Hi Margaret! Thanks for your response. I’m the same way, it’s always fun to read about a place I’ve been to. Welcome, Melanie. I love your Love’s Compass series. Tuck and Laurie were my first and are still my favorite characters (I’m yet to read Finding Joy). Thanks, Tammy! Finding a new author is always nice. I love to read a good series so that is always a help for me, too. Welcome! I enjoyed your story, Finding Hope, and I’m thrilled to have you here at Inspy Romance! Welcome, Melanie. So nice to read your story about what motivated you to write. Your excerpt sounds so intriguing and filled with love. Thank you for the welcome, Sharon! Love love LOVE the blurb for the book. Thank you, I’m excited to be here with you all! It’s great to have you here, Melanie. Your books sounds great. We have the same taste in books. :) Love Dee Henderson books! Regarding setting, it doesn’t matter to me. If the storyline intrigues me, I’ll read it. Welcome. Always nice to see new authors. Hopento readebyoyrnbooks soon. Welcome, Melanie! I’m in Texas, too. :) I enjoy reading books set in familiar places and in new for me locations, as long as the story is good. Thanks, Alexa! It’s always nice to know other Texan! Hi Melanie! I am so glad to see you here! I am definitely a fan of your books and love reading about places all over this country! Hi Beth! Thanks so much, I’m so excited to be here. I appreciate you reading my books. Hi Melanie. I have not read any of your books but am looking forward to reading some. I love to discover new authors of clean inspirational books. I’m so glad we are starting Inspy Romance together! I also write about where I lived. My first book featured Upstate NY and Youngstown. I’d love to visit the places you’ve lived. I love to read books that take place in other areas and locations particularly in the mountains or in places where there’s pine trees and lakes and rivers. I live in Southern California and I would love to move away to one of the northern states like Oregon Washington Idaho anywhere but California at least Southern California. I’m very interested in reading your books I have so many favorite authors that I really love and I’m a voracious reader that loves to spend my evenings reading a good book. Welcome,loved your blog post .I love to read about places I’ve been and lived. Thank you all for your warm welcomes and responses! Welcome Melanie. All of your books have beautiful covers. I enjoy reading books set in places I haven’t visited, but it’s also fun to read a book set someplace I’m familiar with and be able to picture certain places the author mentions. Welcome Melanie! Your exerpt sounds great! I like to read books from places I know because I can relate to things in the book, but also reading about places I’ve never been allow me to “travel” to those places and to know a bit about them.